What Were the Best Performing Pot Stocks in 2017? Since the legalization of marijuana in certain states, there have been a number of companies to go public. While these companies were once seen as extremely volatile, they have steadied as the number of states and countries that legalize marijuana grows every year. In 2017, the traditional marijuana stocks did not do much for investors, but a few shined beyond belief with returns of over 150%. The trend for 2017 was to invest in Canada-based marijuana companies. Aurora Cannabis, Emerald Health Therapeutics, and Village Farms all showed massive potential. The stocks blew up over the course of the year, each for a different reason. Investors in Aurora Cannabis saw an incredible investment in 2017 when the stocks value skyrocketed over 170% from the beginning of the year. Surprisingly, Aurora Cannabis started the year slowly. You might be asking, what turned the year around for the company? First off, Aurora moved from the TSX Venture Exchange, which serves smaller companies, to the larger TSX. This move was big for the company because it brought more exposure to investors they were not previously reaching. In addition to the bump up on the TSX list, Aurora began supplying medical marijuana to the German market. Aurora started supplying the medical marijuana in September through their subsidiary Pedanios GmbH. An outside factor that contributed to the surge in stock purchases of Aurora, was the investment of Constellation Brands in Aurora’s competitor’s Canopy Growth. Constellation Brands bought a 9.9% stake in Canopy Growth for $245 million. Investors began to buy any Aurora stock they could get their hands on. The thought was that a large investment in Aurora would come soon. Aurora attempted to make an acquisition of its own in 2017. The marijuana supply company attempted to purchase the medical marijuana growing firm CanniMed Therapeutics. It has been reported that CanniMed is attempting to stop the acquisition of their company by Aurora. Emerald Health Therapeutics was another marijuana stock that outperformed its expectations in 2017. Emerald Health follows the common theme of this article, it’s a Canadian medical marijuana grower. Emerald Health’s stock performed similarly to Aurora over the course of the year. It started slow, then exploded. In the beginning of 2017, Emerald Health was busy despite the lack of investor attention. The company spent time raising money through public offerings, launched a new cannabidiol (CBD) product line, and even expanded its cannabis supply by partnering with Supreme Pharmaceuticals. Just as Aurora, the interest for investors in Emerald Health began to catch some steam after the Canopy Growth-Constellation Beverage deal. Investors began to buy up the stock with the feeling that a big deal involving Emerald Health was coming. This factor in conjunction with the Canadian government setting parameters for the legalization of marijuana in November created a massive surge in the second half of 2017. Village Farms takes the cake in terms of return on investment. The share price has soared passed 450% this year. The most surprising part about this stock is that it did not start the years as a marijuana stock! Village Farms was a low-end greenhouse fruit and vegetable grower. The Canadian company was struggling to rise through the ranks. In 2017, Village Farms partnered with Emerald Health to grow medical marijuana. The deal outlined how Village arms would allow Emerald Health to convert 25 acres of one of its greenhouse facilities to a grow marijuana for medical purposes. This deal made sense for both sides. It benefits Village Farms because they are entering an expanding business area. It benefits Emerald Health because they are now projected to become lowest-cost marijuana producer in Canada. It makes sense that these three companies can sustain positive growth throughout 2018. While they may not return over 150%, all signs point to growth. The legalization of the recreational use of marijuana in Canada will only lead to an increased revenue for these companies. Controversy has surrounded the effects of marijuana, both under recreational use as well as medical benefits, for years. Ever since California passed legislation to legalize medical marijuana in 1996, the fluctuations in marijuana legalization have been more and more turbulent. Since that point, 29 states and the District of Columbia have approved legislation to legalize marijuana for medical (as well as 8 states and the District of Columbia having approved legislation for legal recreational use). But, now it appears the Federal government has begun to take steps in attempting to reverse certain legislature that protected medical marijuana under state law. Having gone by a few different names, the legislation was introduced as the Hinchey-Rohrabacher Amendment, and its initial purpose was to set a precedent of separation of power regarding medical marijuana laws in individual states, which would also subsequently free up portions of the Federal budget from prosecuting individuals who were charged with possession and use of marijuana for medical purposes. The bill passed into law in 2014 after six failed attempts through the House of Representatives, but due to Federal laws that still maintain marijuana as an illegal substance, the “law” of the amendment is required to pass through the House every year to keep it in effect for the applicable states. Due to the legislative disagreement between state and Federal powers and the fact that this amendment needs to be reinforced on an annual basis, the most recent administration has attempted to take it upon itself to override the amendment and thereby forcefully altering the laws set into place by the 29 states (as well as the District of Columbia) who implemented it. Needless to say, the reversal of this legislation and the nullification of medical marijuana laws already in place in those states would also expose businesses and individuals to Federal prosecution under pre-existing laws which still rendered marijuana illegal, regardless of its intended purpose. This poses an obvious logistical problem, considering more than half of the nation has legalized marijuana for medical purposes, and patients who use medical marijuana on any regular basis has been on the rise. In fact, statistics have shown that, within 23 of the 29 states (and D.C.) who have legalized medical marijuana, almost 1.25 million patients have been cleared to use medical marijuana as of 2016, with a projection that doubled that figure if all 50 states had legalized medical marijuana at that time, and an approximation of 33,000 business entities that offered retail sales of marijuana. Attorney General Jeff Sessions had spear-headed the effort to reverse these laws, and he has argued that Americans should work to change the laws if they aren’t in favor of them. Though, there are some who argue that Sessions’ attempts to turn over state laws in this manner may be a violation of the Tenth Amendment, which assures that powers not specifically delegated to the Federal government and simultaneously not prohibited from state governments will defer to the state level or to the people. The Amendment was set to expire on September 30 and be resubmitted for its annual review. The debate over the pros and cons about the uses of marijuana, be it medical or recreational, has been on-going for a long time, and despite recent lemon law PAs that have established medical marijuana as a legal activity in many states within the United States, Federal legislation has attempted to reverse this decision and enforce Federal laws pertaining to marijuana and its otherwise illegal position on the legislative stage. However, that doesn’t seem to be stopping many seniors. 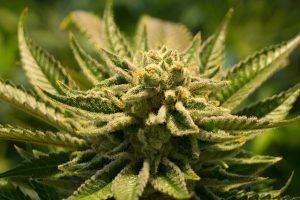 With increased studies pertaining to the effects and medical properties of marijuana, an increased number of senior citizens seem to have decided to partake of the once- and still-controversial cannabis, often supplementing prescription medication or even foregoing prescriptions whenever possible. In a seven-year span between 2006 and 2013, statistics had shown that the number of senior citizens who used marijuana for medical purposes had more than doubled, and other statistics suggest this number may still be on the rise. Over half of all surveyed Americans over the age of 65 had reported pain of a considerable measure, reported a government survey. Whether this pain stems from arthritis or nerve damage resulting from diabetes or even long-standing injury, the trend seems to be shifting to the same place. More seniors are using marijuana. At its base level, marijuana seems to provide a slew of health benefits, many of which seniors find to be a boon to their own health. While marijuana fights chronic pain without the inherent risk of addiction and overdose as many opioids on the pharmaceutical market, it has also been known to provide more of an overall health benefit. Documents have shown that the laughter for which marijuana may be famously known to cause in many users, whether recreational or medical, has been known to counter symptoms of depression. The general effects of laughter have shown to reduce stress levels, improve function of the immune system and even provide protection to the heart among other effects. Some speculate that the social nature of marijuana may also promote stronger bonds with others as a result of its use, effectively increasing the life span as well as the overall quality of life among the elderly who use marijuana. 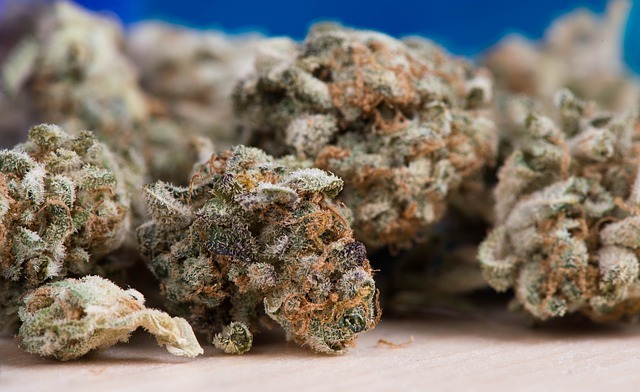 Beyond this, others have also found advantages in the versatility of form marijuana can take and be ingested or consumed, providing a greater ease of use along with what seems to be a safer alternative to addiction-causing prescription medication. Apart from the tried-and-true method of smoking marijuana, companies have manufactured it into candy, and the famed “pot brownies” and other baked goods apparently make for easy and eager consumption. Despite political pressure that doctors face in continuously prescribing opioid medications, seemingly-inconclusive evidence and the challenge of maintaining state law against Federal law are still two major obstacles for advocates of medical marijuana, beyond the challenges of overcoming the stigma that remains attached to marijuana as a whole. Most people realize that they shouldn’t smoke while pregnant. Sadly, this wasn’t always the case and the effects of postnatal development are well documented. Smoking marijuana while pregnant is a topic of conversation that hasn’t really been fully debated, however, and a lot of research needs to be done before we can definitively tell people that they shouldn’t do something that, well, they probably know they shouldn’t do. 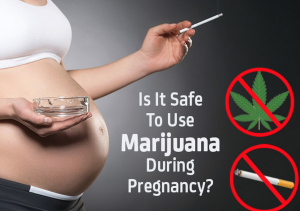 Although we don’t have enough information on what marijuana will do to a developing fetus, here are a few things we do know about the effects of smoking pot while you’re pregnant. First of all, it’s important that people realize and acknowledge that the number of women seeking treatment for substance abuse for marijuana while pregnant is going up. If you know someone who needs help, then do your best to responsibly intervene and provide that person with the resources they need to find the right kind of help. 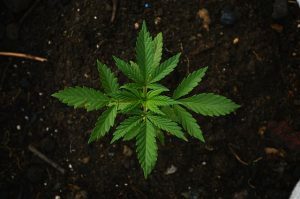 New York animal studies have been conducted that show an increased likelihood of miscarriage when marijuana is used early on in a pregnancy. While no similar human studies have been conducted, you should still consider the animal studies relevant. We might not know for sure, but when it comes to the health of your baby, you should act in accordance with the studies we do have. If an animal study isn’t enough to convince you, then here’s a better source of information: research has indicated that stillborn children are more likely to result when a mother uses marijuana during pregnancy. Learning deficits and potential neurological developmental disorders are also a possibility based on animal studies. There are a few studies that have reported a connection between developmental disorders and a mother’s marijuana use while pregnant. Other studies show a connection between marijuana use and premature birth, but yet more studies contradict them. It’s more likely that repeated long-term use increases the chances of such side effects. More evidence is required in order to know for sure. The same lack of research accompanies marijuana-use and breastfeeding. Potential links between THC exposure and motor development might exist during the first year of life, and THC may be present in breast milk when a mother uses marijuana regularly. We don’t have enough information and haven’t conducted enough research to draw many conclusions on the effects of marijuana-use when pregnant, and unfortunately the ignorance of the scientific community in this respect leads a lot of women to smoke in order to treat symptoms of nausea brought about by pregnancy (or simply because they want to). As always, it’s important to check with your doctor if you’re a user of medicinal marijuana and wondering if you should terminate use while you’re pregnant. OK, so this is not to say that the author of this piece is a weedhead, or is high on pot while writing this. The opposite may be true, in fact. (He will not confirm nor deny this report.) However, the author can say that he has it on good authority that bongs can be an effective way to smoke weed, but it may be a bit underappreciated these days. If you have any curiosity about using a bong to get high, we have some guidance to bongs, how they work and how you may incorporate them into your pot-smoking habit. Maybe it’s appropriate that the history of the bong is a bit clouded in mystery (pun intended). Its origins have been hard to trace, as there are many stories that pop up that make it seem like they are legends. But the word bong seems to come from the Thai word “baung,” which was a pipelike device made of bamboo. There have been tales of the bong coming from a nomadic group of people who used a pipe-like device in what is modern-day Russia, and similar devices were reported in use among tribes in Africa, and going as far back as the Ming Dynasty in China. Bongs are related to the hookah, which was a device used for smoking flavored tobacco. The author is told on good authority that smoking marijuana through a bong has its advantages over smoking straight from a pipe or a joint. The water and the percolators in bongs contribute much to the experience. The biggest advantage with bongs is the cooling and percolation of the smoke in water, as well as the filtering of the smoke. Cooling the smoke and filtering it before inhaling makes for a smoother, calmer draw no matter how much smoke you take in. The cooling effect can spare your throat and lungs from harsh heat sensations (like the summers on Long Island), as well. This can contribute to a purer, easier and more enjoyable experience. What are the Bong Parts? If you interesting I buying or perhaps creating your own bong (lots of people can create one out of almost any material they have in their house), it will be good to know the various parts of a bong so you can know how much material you need to make an effective bong. The bowl is where the cannabis is stored and lit to create the smoke. The carburetor is a small hole that helps clear the smoke when finishing a draw. Bowls are often attached at or near the carb and is often removable. The downstream is necessary to lead the smoke from the bowl down into the base of the bong where it is percolated and filtered in water. The base is where the water and percolators are located, at the bottom of the bong. The tube is where the filtered-and-cooled smoke rises from the base toward the mouthpiece. This is the part of where you take a draw of smoke. Bongs are just another tool to consume cannabis. Bongs can be an artful science, or a scientific art, depending on how you choose to look at them. There are several designs, many materials and some features that are unique to certain types. If you don’t like the dry heat intake of a joint or pipe, but you enjoy inhaling the smoke, a bong can help make the entire experience more enjoyable. Can You Use Marijuana In Pain Management? As more states begin the process of marijuana legalization–and others only now contemplate the idea of medical marijuana legalization–it’s important to learn more about the use of marijuana when it comes to managing pain. Is marijuana better for pain management than the opioids we tend to use today? What do doctors prefer, and why? The answers don’t come so easy, especially since our access to reliable information about the long-term effects of marijuana use are so very limited. 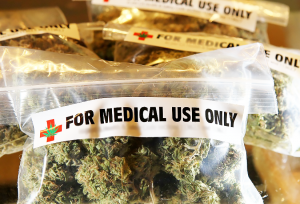 Here’s what you need to know when it comes to using marijuana for pain management! A recent report released by the National Academies of Sciences, Engineering, and Medicine (or NASEM) concluded that either cannabis or cannabinoids can be effectively used in order to treat a variety of chronic types of pain. That’s probably not so surprising. Even so, doctors still aren’t convinced that marijuana is the best solution for those who suffer from chronic pain. Pain is treated in a number of ways, all with potentially different effects for the user. If you use anti-inflammatory medications, those drugs will cut off production of chemicals that cause inflammation after some type of injury. When you use marijuana, the cannabinoid receptors in your body seem to help dull your pain–although we’re not entirely sure how. When you use an opioid to combat any type of pain, the drug can cause pleasure in addition to reducing your pain. This sensation can be highly addictive, while marijuana has no such similar quality. You might think that the less addictive qualities of marijuana might leave doctors on that side of the fence, but we’re not quite there yet. The problem remains: we don’t know enough about the drug, which types of pain it can be used to treat or how, or its long-term effects to guarantee its helpfulness. The medical community wants answers to these questions, especially since marijuana can be delivered into the body in a number of ways with seemingly different outcomes for pain management. It’s important to realize that many people who become addicted to the opioids they use to combat chronic pain cannot kick the habit once they begin. In 2014, it was documented the 14,000 people died from an overdose of prescription opioids. No one dies directly from any amount of marijuana use, and so the reluctance of doctors to get on board with weed might be in part due to the simplicity of writing a prescription for painkillers. Especially in the U.S., we have the tendency to combat the symptoms instead of the underlying problem causing those symptoms. Until we do the latter, this epidemic of opioid deaths is likely to continue. The fact remains, though, that marijuana certainly has a place in the future of pain management. In order to reduce the rising costs of damage done by opioids, we need to learn as much as we can as quickly as possible.